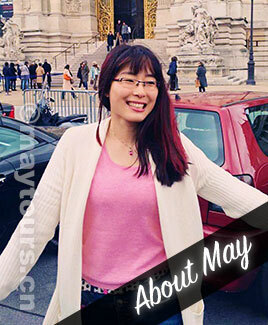 May’s Beijing Tours: Your Friend & Private Tour Guide in Beijing! Providing travel guidance and company in Beijing. 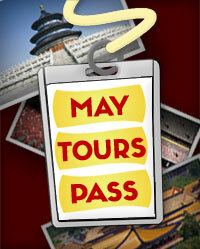 May Tours is a beijing tour service & friend; helping you to cross the Chinese language and cultural barriers. Bringing special insight into the local way of life. We think that the best travel experiences are with local friends and acquaintances. That's why our tours bring a friendly experience to visitors here in Beijing. We want to build a long lasting relationship with our customers through our transparent service. Discover our recommended & most loved sights in Beijing and it's surroundings or create a custom tour with us. Just the way you like it — fill in the form below! Our affordable and all inclusive tour prices includes lunch, tickets to the sights & tour guide. Renting a vehicle is optional inside the city limits. There are no shopping stops but on special request we can help you to bargain. Choose extras and relax away for the evening with a discounted night show, or massage. All day tours include lunch & various sights. Car is optional inside Beijing — use the form above to contact us and start building the tour of your dreams..
Reserve Your Discount Tickets to Beijing Nightlife! Get to know the buzzling night life scene in Beijing and grab your discount tickets to the stars of the night. The popular Beijing Opera, Acrobatic Show and Kung Fu Show venues can get fully booked, so make sure you reserve your tickets early with us, through our friends from "Show Beijing" as soon as possible! We are sensitive to your needs so that we can make decisions together for a satisfying trip while keeping things exiting! A group of good friends, bringing fun to the tour business. We enjoy what we do and we want you to enjoy your holiday! Caring team with years of experience. We know our job so we can take good care of our customers in China!